With our reconditioned equipment, you will experience the benefits of a like-new machine - at a price that is significantly less than new. You will also receive all the amenities of a new machine, such as flexible payment options, a great warranty and quick delivery. We take great pride in each and every reconditioned machine we sell. From the major components, all the way down to the smallest detail, everything is focused on adding quality and integrity to our reconditioned copiers. By following our detailed reconditioning process, our technicians are able to consistently provide a top-notch reconditioned machine that looks and functions like new. We make sure that when these machines leave our facility they are in perfect working order and are ready to give you many years of reliable service. Foto's Office Systems has been serving the copier and printer needs of the Kansas City area since 1961. Our professional staff will work to find the very best solution to your office equipment needs. From expert maintenance and repair to friendly consultation and advice, we're just a phone call away. 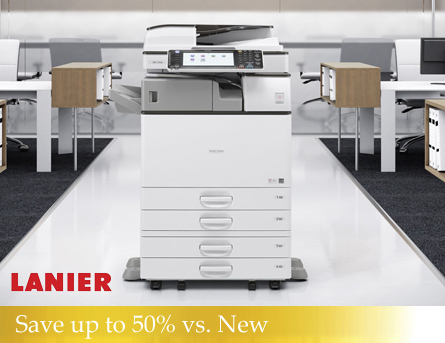 Whether you are looking for a copier, printer or mulitfunction device we have you covered.